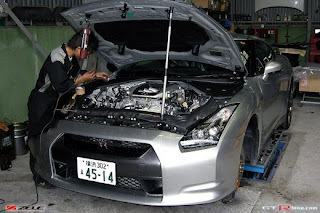 Zele International obtained an ex-Nissan test car to test out some engine modifications. So far they have dropped the engine out. 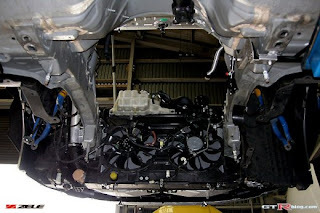 I am interested to have a good look inside the engine. I know there is some power in there, waiting to come out. I think they need to be more worried about the other end of the car first. The transmission and the clutches are going to require some attention before the engine.